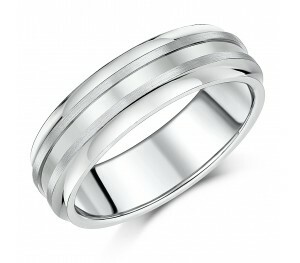 A 7mm patterned titanium flat court shape wedding ring with a matt and high polished finish and bevelled edges.A classic wedding ring band infused with contemporary design, featuring two raised bands of bushed matt satin with contrasting high polished central groove and bevelled edges. Not to compromise on comfort, this ring features a flat court profile with rounded inner edges and a stylish, modern flat look. 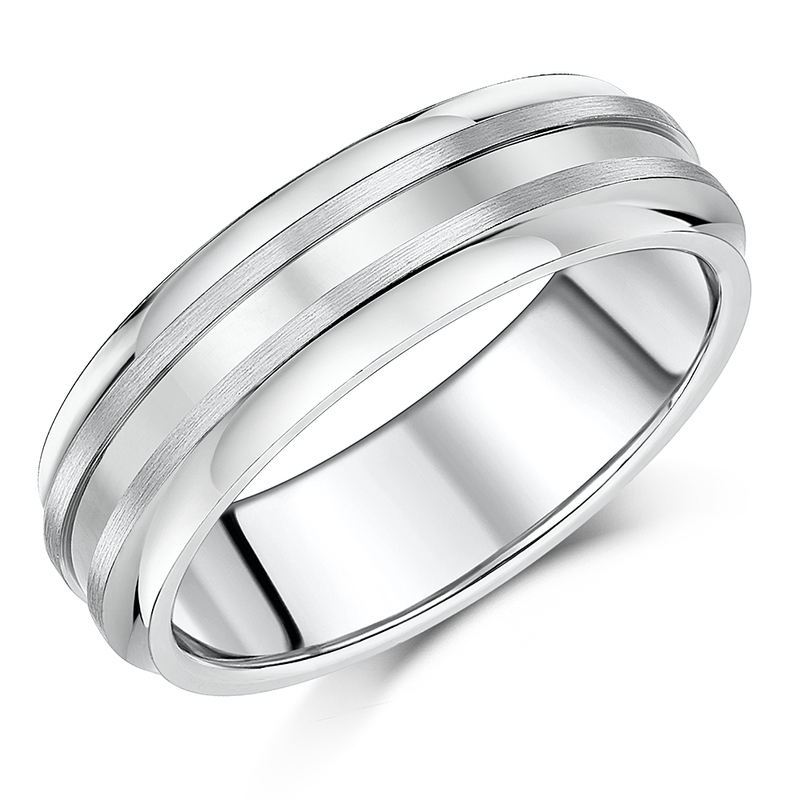 Made of high quality titanium material, this ring is designed to withstand daily wear. "This product is available for next day delivery". Ring Size: Don't know your rings size? Click here to order a ring gauge. Flat court wedding rings are flat on the outside & rounded on the inside for extra comfort. Wrapped in an elegant box. Copyright © 2019 ElmaJewellery.co.uk - All Rights Reserved!